Thank you for your interest in supporting the mission of the Navy SEAL Foundation through planned giving. When you make a planned gift, whether through bequests, trust, or even your retirement plan, you are giving back to the warriors who are on the front lines protecting the freedoms we hold dear. Your legacy will be one of strength, resiliency, and support for SEALs and their families. I have already designated the Navy SEAL Foundation as a beneficiary. Please contact me. To speak with a Navy SEAL Foundation representative about planned giving, please call 757-363-7490 ext. 204 or email Jennifer Bragaw at jbragaw@navySEALfoundation.org. Planned gifts of all sizes can sustain the Foundation’s mission while providing significant tax and financial benefits to the donor. Please be sure to consult with your attorney or an Estate or Gift Planning professional to maximize these benefits. 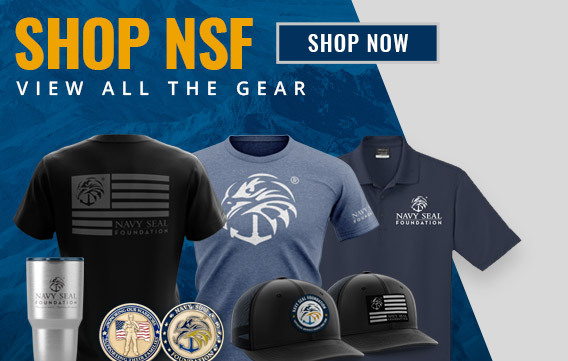 Thank you for your support of the Navy SEAL Foundation’s mission. Together we will create a lasting legacy.